The travel blog Trips to Remember recently named Bonaire Pink Beach, a narrow beach on the island’s western shore, among the 9 most beautiful pink sand beaches in the world. Not far from Divi Flamingo Beach Resort, it’s a perfect spot to relax under a palm tree with a good book, or jump in the water to explore the vibrant marine ecosystem that surrounds Bonaire. Check out the full list of pink beaches here. We love seeing Divi Resorts through your eyes. We’ve started a new feature highlighting some of the best Instagram photos taken at each of our resorts. Our guests are amazing photographers who deserve a shoutout! Here are just a few fabulous Instagram photos of Divi Flamingo Beach Resort on Bonaire. You’d be hard-pressed to find more beautiful waters anywhere in the world. The ocean surrounding Bonaire is protected by the National Marine Park, and it’s easy to tell. Sometimes you can even see tropical fish from the balcony of your guest room! 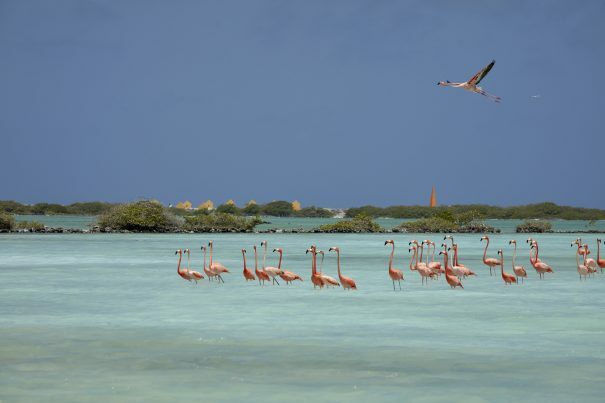 Calabas Reef is located just off-shore from Divi Flamingo, and is accessible 24/7. The reef teems with vibrant marine life—it’s fun (and awe-inspiring) to see the broad diversity of sea creatures who call it their home, day and night. At Divi Flamingo, we’re all about relaxing and letting it all hang out. We love our quirky, easygoing atmosphere and we love sharing it with you! We’d love to see more Instagram photos of Divi Flamingo Beach Resort! If you’d like to share your memories with us, simply tag the resort as your location when you post Instagram photos of Divi Flamingo, and make sure your profile is set to public. We’ll be sharing more Instagram snaps from our other resorts in the following weeks. 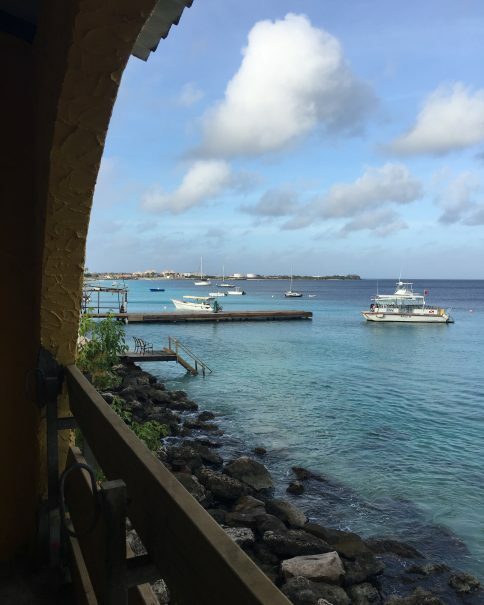 Anytime is a great time to visit Bonaire, but the timing is particularly sweet this fall. The Bonaire Fall Festival: Dive-Dine-Discover program, now in its third year, will take over the island from August to November. You’ll be able to enjoy special excursions and unique culinary options from a wide range of providers. At the end of each month, the island will also host a food festival called the Taste of Bonaire. Chibi Chibi Restaurant at Divi Flamingo Beach Resort will offer a discount in cooperation with the Bonaire Fall Festival (buy two entrees and receive a complimentary dessert, appetizer or two glasses of house wine). Divi Dive Bonaire is also offering fall dive package specials (just click on the link and scroll down to “Packages” for details). Hope to see you soon on Bonaire! Bonaire was ranked No. 4 in a prominent Islands.com list of the world’s best islands for snorkeling, in the company of outstanding islands such as Fiji, Dominica and Maui. The list points to Bonaire’s 200-plus caves, beautiful fossilized coral and crystal-clear water. You can see the entire list here. 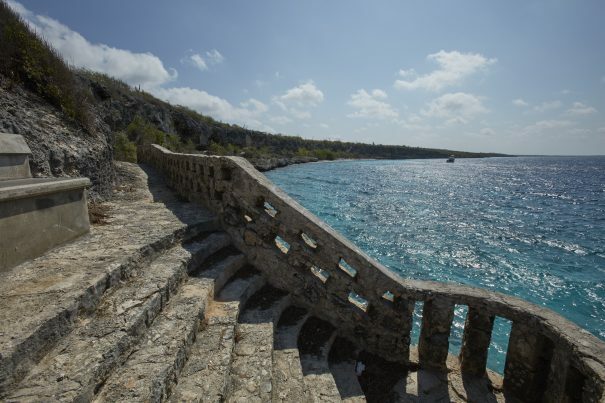 About.com Travel recently named Bonaire’s National Marine Park one of the 7 Natural Wonders of the Caribbean. If you’ve been scuba diving or snorkeling with Divi Dive Bonaire, you’ve visited the Marine Park—it encompasses the entire island from its shoreline to a depth of 200 feet. From the vibrant diversity of underwater life that makes its home in the park, the healthiness of the area is clear. 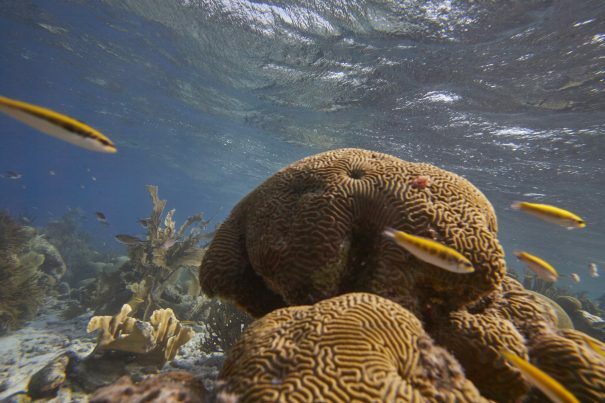 It’s considered to be the most well-protected reef system in the Caribbean. At Divi Resorts, we love diving. It’s one of the few sports that can be relaxing, invigorating, and educational at the same time. And, here in the Caribbean, you’re never far from the next amazing dive site. Our clear waters and vibrant underwater life make sure of that. The dive organization PADI recently published a blog post about the mood-boosting benefits of scuba diving. If you’re having a bad day—or a bad couple of months—scuba diving is a great way to relax, recharge, and reset. Immersed in a new underwater world, surrounded by fascinating marine life, your everyday worries can seem very far away. That’s just one of the ways scuba diving can enhance your life. PADI’s blog post also mentions the connections you can form with other diving enthusiasts, the challenge of earning certifications, and the rewarding feeling of participating in marine cleanups. 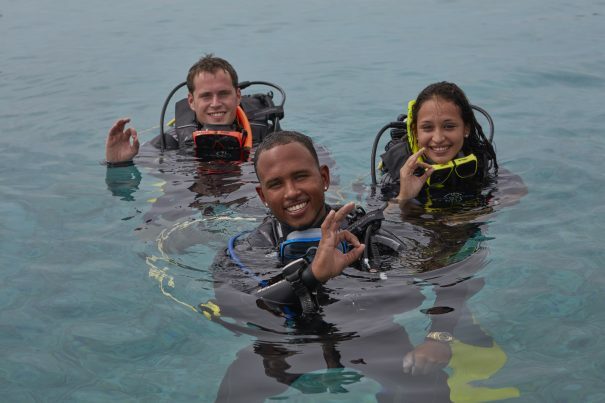 Diving can even promote physical health and lifelong learning, PADI asserts. All our islands offer great diving opportunities, but the best vacation spot for anyone looking to “dive in” to the sport is Bonaire. The small Caribbean island is known for its world-class, yet easily accessible diving. Divi Dive Bonaire at Divi Flamingo Beach Resort teaches certification courses for all levels, and provides a wide variety of boat diving, shore diving, and truck diving packages. Shore diving is accessible 24 hours a day, 7 days a week. Can you imagine recharging after the holidays with some firsthand oceanic exploration? You’d get a taste of our quiet, unspoiled Caribbean life on Bonaire—above and below the sea. You might even feel great.